Mechem Engineering Sdn Bhd was established in 1993, with its own premises at Taman Johor Jaya, Johor Bahru. The staff is trained to effectively meet the requirements of our clients. The company’s business has since been growing from strength to strength. In 1997, it successfully obtained the G3 from CIDB (Construction Industry Development Board, Malaysia) Covering CE & ME category. Since then it has emerged as a turnkey contractor for Water Pumping Station, Sewerage Treatment Plant (STP), Waste Water Treatment, Mechanical, Electrial, Civil & Piping Work. Our subsidiary company, Mechem Services Sdn Bhd, is a trading / agency company dealing with Water Pump, Cooling Tower and AB-3P Pipe. Our associated company, Cekaptek (M) Sdn Bhd, is engaged in Water Reticulation, Sewerline Water Pipe, process and general building and civil works. To be one of the respectable and reputable water engineering companies in Asia,by providing latest technology and value-added services to meet our clients’ satisfaction. 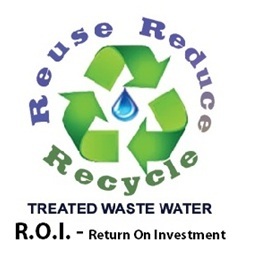 To promote concept of reduce,reuse and recycle of waste water. To providing effective solution, efficient equipment and technology for water purification, waste water & sewerage treatment. To strictly comply with the relevant authorities, laws & regulations. To provide continuous management skills and technical training to enable the growth of employees and company.